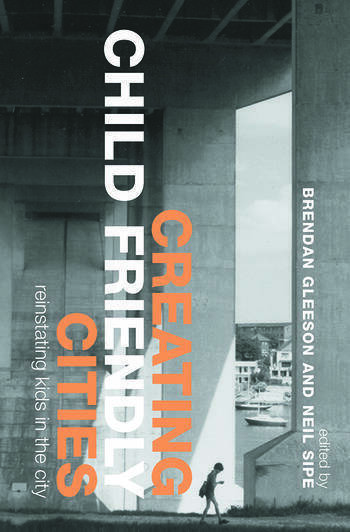 Leading planning and geography authors present this comprehensive assessment of the extent to which the physical and social make up of Western cities accommodates and nourishes the needs of children and youth. Examining the areas of planning, design, social policy, transport and housing, Creating Child Friendly Cities outlines strengths and deficiencies in the processes that govern urban development and change from the perspective of children and youth. Issues explored include children's view of the city and why this is unique; the 'obesity epidemic': is it caused by cities? ; the journey to school and children's transport needs generally. With illustrations and case studies, Creating Child Friendly Cities presents planning professionals with a solid case for child-friendly cities and an action plan to create places for children to play. Brendan Gleeson is Director of the Urban Research Program at Griffith University, Brisbane. Before joining Griffith he was Deputy Director of the Urban Frontiers Program at the University of Western Sydney. His research interests include urban planning and governance, urban social policy, disability studies, and environmental theory and policy. Neil Sipe is Head of the Environmental Planning School at Griffith University and is an experienced urban researcher who has worked in North America and Australia. He has an extensive teaching record in the field of transport planning and in recent research has been the first Australian scholar to propose methods for defining and mapping transport exclusion.